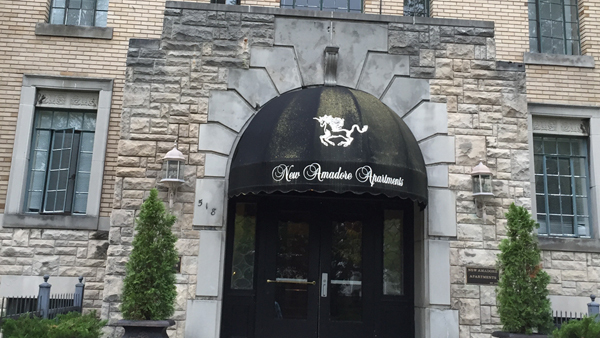 New Amadore Apartments, a 63 unit building constructed in 1929, still had all its original windows. They did not seal properly resulting in drafty conditions, and were difficult to open and close. This was the number one tenant complaint. Repair parts for these vintage windows were no longer available so total replacement was the only option. However, the required $255,000 capital expenditure was something the owner wanted to avoid, at least for the time, and put the project on the back burner. That was until the Energy Alliance Group (EAG) informed him of Property Assessed Clean Energy (PACE) financing. PACE enabled the owner to purchase all new windows with no money down, and with a 20 year, fixed interest rate loan. EAG handled all project development work including conducting the energy audits, arranging for the financing, lining up a supplier of energy-efficient windows and providing project management support. The improved energy efficiency reduced the monthly utility bill by $1,065, or 31%. Total savings including utilities, maintenance and repairs, are projected to be $315,000 in 10 years and $610,190 in 20 years.